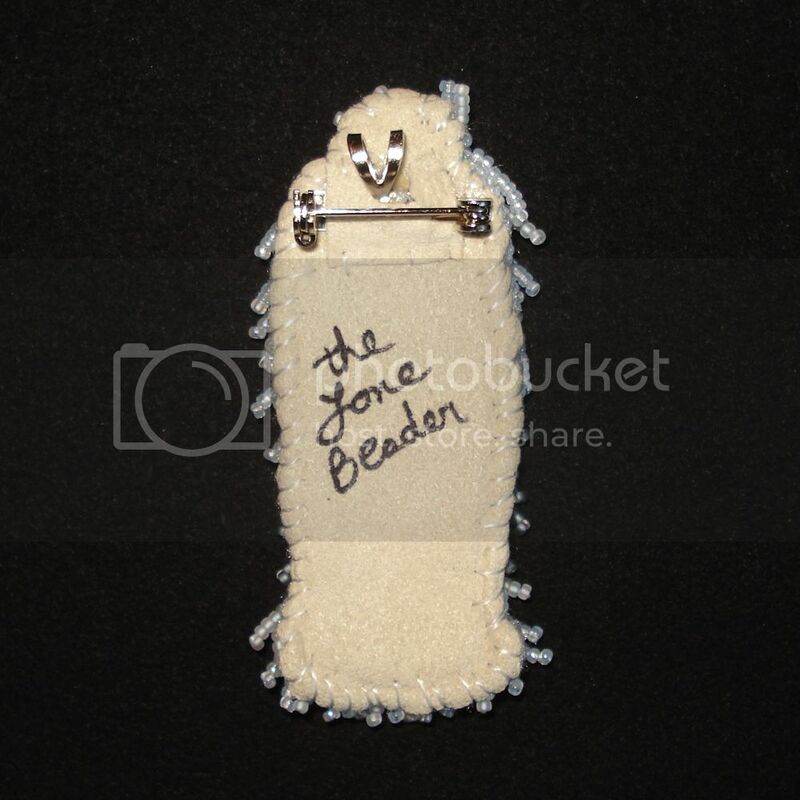 Beaded Old English Sheepdog pin/pendant. >Oh I love Bailey!! You are so good! >I always love your little beaded dogs! They are so sweet, and always make me smile! >Wow, what an amazing work! 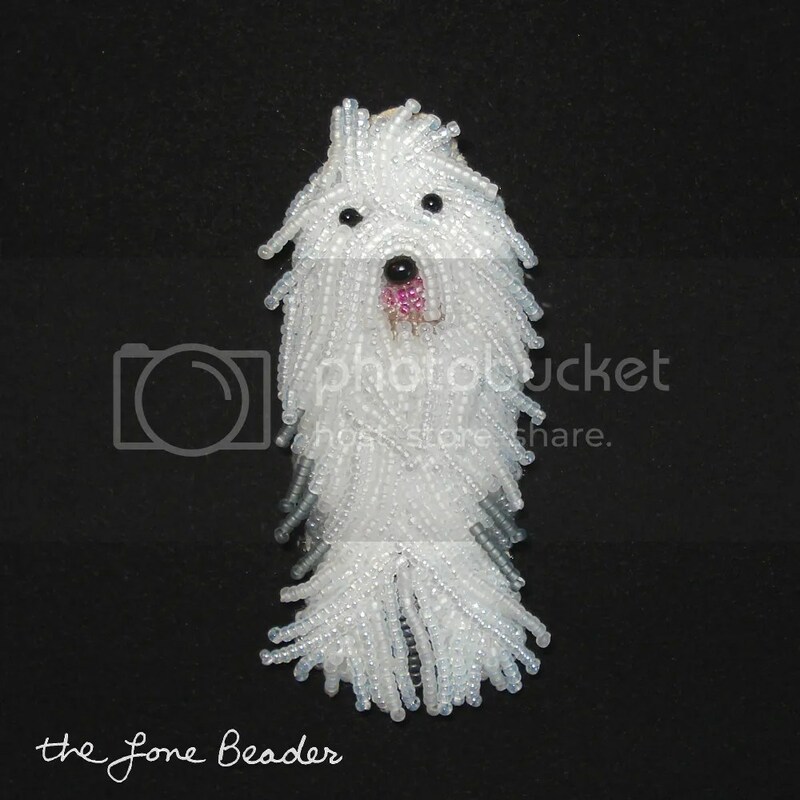 >Love Bailey — the Sheepdogs really look great beaded. >Bailey is delightful! Good job, L.B. !